During the days of Avalon, there wasn't a hospital to be found in Rockingham County. It was 1924 before the first hospital opened its doors in Leaksville, which is now part of Eden. In 1900, the field of medicine was still in the dark ages. The doctor worked out of a genuine crocodile handbag and doctored on patients in their homes. Diseases and illness were not understood, but just like today, sick people expected the doctor solve their illness in a timely manner. When faced with an unidentifiable problem and an impatient patient, some doctors prescribed narcotics to hide the symptoms. Unfortunately, there were other doctors who addressed unidentified ailments through crude and bizarre experimentation. Back then, there existed a large variety of medicines and medical devices that bolstered outlandish claims but, were backed by sheer ignorance. Many of these devices and treatments employed electric shock, radioactive substances, vibrations, and even the administration of mercury. Fortunately, the times were changing and several positive medical breakthroughs came from the era. Around 1900, antibiotics were discovered and to the relief of blood transfusion patients, Karl Landsteiner figured out that blood came in different types and that those types were not compatible. Fig. 24. 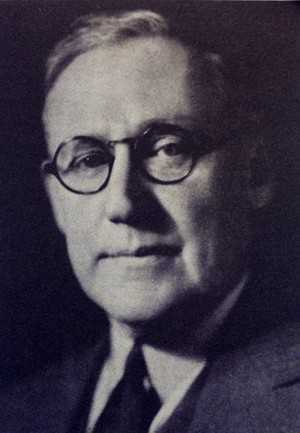 Dr. Thomas Whitmell Davis served the village of Avalon between 1901 and 1906. In addition to the doctor, there were alternate ways of getting medicines in Avalon though many of these so-called medicines belonged in the category of quackery. There were street peddlers who visited Avalon to sell their wares including patent medicines. Patent medicines typically had some secret ingredient — the cure — which was diluted in an amount of alcohol or other intoxicating substance to manifest an effect. If the customer interperted the effect as a sign the medicine was working he or she might become a repeat customer. Exaggerated and ridiculous claims made these medicines enticing, but there were rarely any scientific grounds to back them up. Fig. 25. 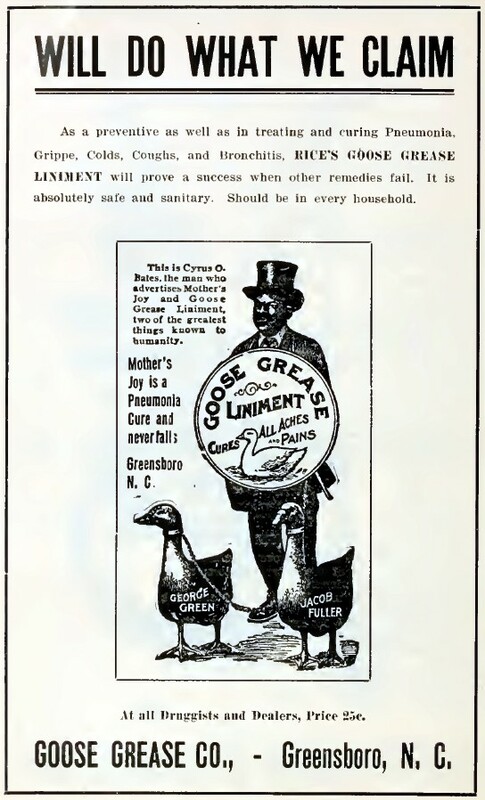 1912 ad for Goose Grease Liniment. Click here for full image. Another street peddler came to Avalon walking with a pair of harnessed geese and flaunted his product, Goose Grease Liniment by calling out "Cures all aches and pains. 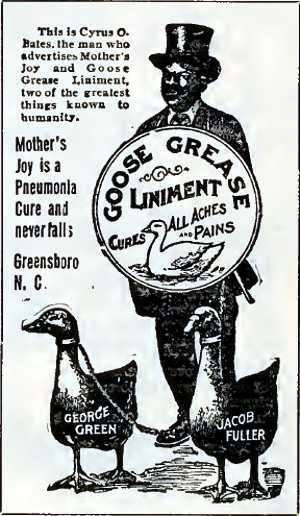 "4 Goose Grease Liniment was manufactured in Greensboro, North Carolina.5 And like Japanese Oil, Goose Grease also carried an impressive list of ailments it cured including: Sore throat, cough, cold, croup, fire burns, and scalds.5 A printed advertisement claimed that Goose Grease Liniment was the BEST known remedy on EARTH for PNEUMONIA. "5 In 1906, it is possible more than a few bottles of Goose Grease was purchased in Avalon, because in April of that year there was a pneumonia outbreak. Around 1900, there was a growing smallpox epidemic in Rockingham and neighboring Guilford County. 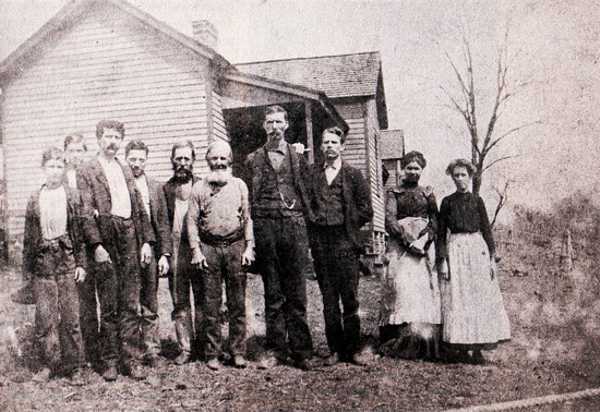 From May 1, 1899 to May 1, 1900 there were five-hundred and twenty cases and twenty deaths reported in Rockingham County.9 The reason for the high number of cases was that proper measures were not taken to control the disease. It seems the attending physician9 was incorrectly diagnosing the disease as the chicken pox.9 Fortunately, the disease's true identity was figured out and the number of cases began to decline. For the year May 1, 1903 to May 1, 1904 the reported cases of smallpox dropped to thirty-nine for Rockingham County with no deaths listed.11 Dr. Samuel Ellington of Wentworth went about the county administering vaccinations and strict quarantine requirements were imposed. People who were exposed to smallpox were confined to pest houses. The pest houses were roped off as a warning for people to stay away.1 Of course, being exposed to the disease didn't mean it was ever contracted. The exposed were quarantined as a precautionary measure to further inhibit the spread of the disease. Fig. 26. Pest house at Avalon. Rope surrounding the house can be seen in the foreground. 1. Foushee, Ola Maie, Avalon: A North Carolina Town of Joy and Tragedy (Chapel Hill, NC: Books, 1977), 38-39. 3. Thirty-Ninth Annual Report of the Connecticut Agricultural Experiment Station, (Hartford: Tuttle, Morehouse & Taylor, 1916), 399. 4. Foushee, Ola Maie, Avalon: A North Carolina Town of Joy and Tragedy (Chapel Hill, NC: Books, 1977), 43. 5. Goose Grease Liniment. Advertisement. The Times Dispatch (Richmond, VA) April 2, 1900, 12. 6. Goose Grease Liniment. Advertisement. The Times Dispatch (Richmond, VA) October 9, 1912. 7. "The Month in Wachovia: Mayodan," The Wachovia Moravian (Winston-Salem, NC) February 1906. 8. "The Month in Wachovia: Mayodan," The Wachovia Moravian (Winston-Salem, NC) April 1906. 9. Foushee, Ola Maie, Avalon: A North Carolina Town of Joy and Tragedy (Chapel Hill, NC: Books, 1977), 13. 10. Eighth Biennial Report of the North Carolina Board of Health 1899-1900, (Raleigh: Edwards & Broughton, 1900), 47. 11. Tenth Biennial Report of the North Carolina Board of Health 1903-1904, (Raleigh: E.M. Uzzel & Co, 1905), 30. Fig 24 - Unknown, Dr. Thomas Whitmell Davis (unknown), Location, unknown Image [from Avalon: A North Carolina Town of Joy and Tragedy (Chapel Hill, NC: Books, 1977), 38]. Fig 25 - Unknown, Goose Grease Liniment (unknown), Advertisement [from Premium List and Regulations of the Fifty-Second Great State Fair of North Carolina (Raleigh: Edwards & Broughton, 1912), 138]. Fig 26 - Unknown, Avalon Pest House (1900-1911), Location, Avalon, NC, Image [from Avalon: A North Carolina Town of Joy and Tragedy (Chapel Hill, NC: Books, 1977), 40].